Took my bright and shiny Reebok sneakers to the street last weekend. 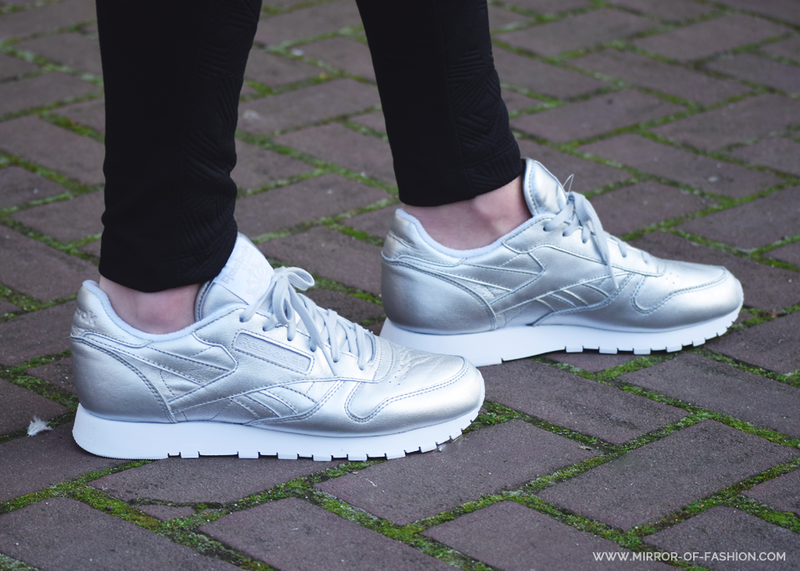 Maybe you're not used to see me in the coolest kicks but ever since the result of the joined forces between Sandro and Reebok caught my eye I couldn't get a pair of metallic Reebok classics off of my radar. We're very happy together.